IPIC is the International Petroleum Investment Company, formed by the Abu Dhabi government in 1984 to invest in the energy and related sectors across the globe, working for the betterment of Abu Dhabi’s people. 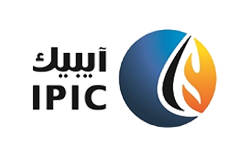 IPIC is founded in Abu Dhabi by The Late HH Sheikh Zayed Bin Sultan Al-Nahyan, founder and first President of the United Arab Emirates, in association with ADNOC and ADIA. The aim is to advance Sheikh Zayed’s vision of using Abu Dhabi’s natural petroleum wealth to build a modern, diversified economy for the benefit of future generations. IPIC offers a wide range of career opportunities in a dynamic and challenging work environment. Apply for a job online by browsing through our current vacancies. Interested candidate can submit your resume now: "Submit Now"